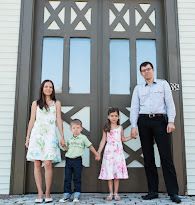 What were we thinking when we bought a three-story town home? Oh yes, that's right, we had no kids back then. It was all fun and pretty before, but not so much with little ones. Not only do stairs swallow up a ton of square footage, having all the rooms on different levels makes it really hard to keep an eye on the kids! When Baby T is napping on the second floor, I either on the third floor working or in the first floor kitchen cooking - most times I don't hear him until he is too awake to fall back asleep. We have the opportunity to review the Summer Infant Slim & Secure Handheld Color Video Monitor and I'm really excited to finally have some peace and not to constantly have to check up on my baby! Maybe that's why I'm too skinny? I'll blame it on the stairs! We are waiting for the monitor to arrive and I will share my personal experience and thoughts on it later. Meanwhile, if you're in the market for a baby monitor, Summer Infant has a great selection that will fit your needs and budget. Whether you are looking for just an audio monitor or a color video monitor, they have one for you. You may be interested in just a simple audio monitor to hear when the baby wakes before they start crying, then the Summer Infant Slim and Secure Digital Audio Monitor may be what you need. Retailing for $79.99, you can find it on sale for as low as $32! If you need to see the baby or toddler to supervise what they are up to, there are many options available ranging from $130 to $230. Summer Infant also has a myriad of other products for baby, everything from playards to safety gates, baby swings, and even an Organic SwaddleMe. 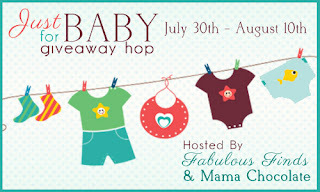 Don't forget to come back Monday, July 30th to enter our Just for Baby Event giveaways! Disclaimer: I did not receive payment for this article. I am in need of a monitor and I would love to win one! I like that they have so many options at different prices. I really like the video monitors - it is helpful even in a 2 story home! It can be so hard to tell for sure if they are awake sometimes or just making noises in their sleep. Much better than creaking open doors! Although i almost never used baby monitor never really had one besides just cheap speaker one, this looks like a winer. I love our video monitor! It did take me a while to come around to them -- for some reason I thought it was over-kill at first! My only complaint is the technology has grown so much that even though we have an add a camera system, the extra cameras are no longer on the market! We have been looking for a good video monitor for awhile, I'm glad I found this review. Thank you! 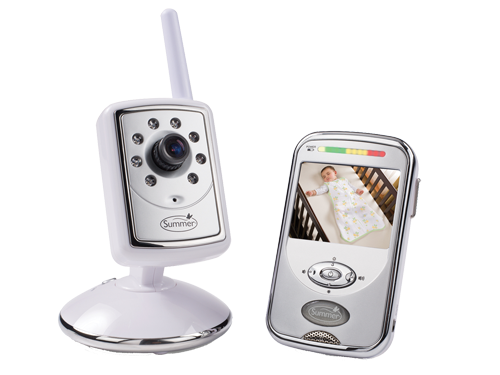 We have been searching for baby monitor with video. I know it would help us sleep more at ease. Thanks for the review! I love this, the nursery is on the second story so it will make it easy to always keep an eye on baby whether I'm doing laundry in the basement or dishes in the kitchen. This looks like a great value! I really like that companies have come out with video monitors. What a nice relief to actually "see" your baby! If you live in a two-story house, these are especially important. I used mine all the time! This looks amazing. I think that it is wonderful that it comes with a video monitor - it helps so much to know what is going on with your baby even when you are not in the room. I definitely want a video monitor. Being able to see the baby will allow me to not have to check on him so often. I've always wanted a video monitor! These look amazing.